No one does more to make you feel right at home. Oakwood's Gold Standard Customer Service is more than a promise—it's a commitment we deliver on every day, by listening to our clients and putting them at the heart of everything we do. So it should come as no surprise that Oakwood has been rated as a top provider of corporate housing services by Trippel Research Services several years in a row. Every member of our team takes ownership of client and guests concerns—no matter how small—and responds quickly and thoroughly to ensure that each resolution meets or exceeds their expectations. Our Gold Standard isn't just about solving problems, however. It's about preventing issues from ever occurring by proactively creating, implementing and sharing new processes and technologies. Not just an account team. Your Account team. It begins by entrusting your travel needs to a group of travel experts who are dedicated to your account and vigilant about delivering the best possible experience on all fronts. Your team will be in touch with you on a consistent and ongoing basis—not just occasionally—to make sure we leave no stone unturned to ensure your complete satisfaction. Plus, you'll have the entire Oakwood team on-call for you around the clock thanks to ServiceTracksm, our proprietary application that enables us to address service requests 24/7 through our Worldwide Sales and Service Center (WSSC). We've developed tools that make extended stays easier. 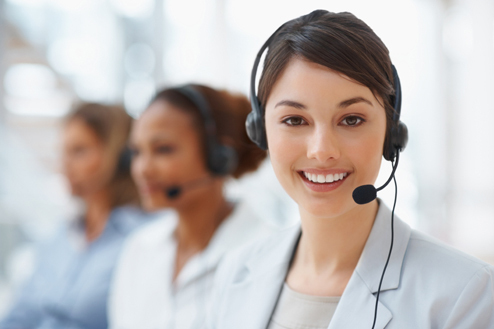 ServiceTrack(sm), our round-the-clock customer service management system. From accidental lockouts to maintenance requests, ServiceTrack enables Oakwood to respond to guests' needs 24/7, updating guests throughout the resolution process and automatically generating customer service surveys to solicit feedback about how things were handled. EPIC our e-procurement solution designed to help our clients improve operational efficiency and contain costs from a single point of contact. myOakwood, a customized Web portal for each guest—including the ability to view arrival information; view and request changes to their departure date; submit service requests; learn about additional amenities they can obtain for their apartment or residence; locate nearby schools, daycare centers, restaurants, and local attractions; obtain maps and driving directions; and more. An online gallery of Property Profiles complete with photos and neighborhood information for each Oakwood apartment. When it comes to our service, only the best will do. Oakwood's proprietary ACE Survey methodology is used to conduct customer satisfaction surveys with all guests. This feature is available upon request—and upon each guest's agreement to participate by providing an email address. A series of questions gather feedback about the guest's Oakwood experience, including their experience before and during arrival, the apartment, the furnishings, our people, and how we handled service requests. We review all responses promptly, post the results online, and use robust analytic tools to drill deeper into the data and determine how to better assist our clients with their future needs.